The event of Apple, whichÂ awaitedÂ many Apple die hard fans has now come to end. Apples event was of 1 hour and 23 minutes. Focusing towards hardware, Apple today revealed the new iPad ‘The New iPad’, yeah I know Apples gone mad and theÂ refreshedÂ Apple TV which will support 1080p video. On the other hand Apple has revealed many new innovating, there own applications for the new iPad’s retina display fun such as iWord, iPhoto and more. Of course as we know that Adobe releasedÂ PhotoshopÂ for iPad last week, Apple had to do something innovating. 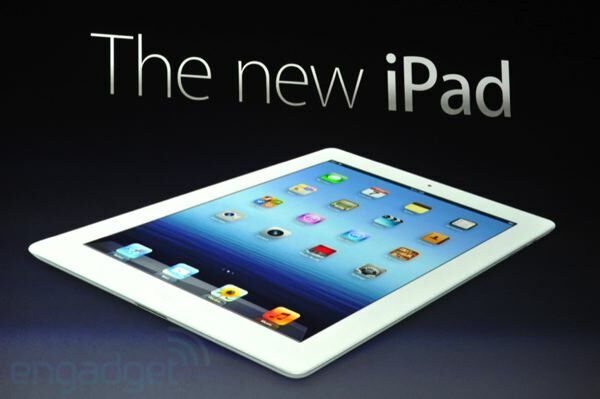 4G LTE: The new iPad will have a speed of Â 72 mega bytes per second for downloading, leaving up all the other tablet experience. Retina Display: The innovating retina display which no other one did, it hasÂ Â 2048-by-1536 resolution which means an increase of 44 percent from the normal display to retina. Voice Dictation: Not Siri, but yet you can use the new voice dictation to write up what you are saying. A5X Chip: This chip isÂ magnificent, a dual chore processor plus a boost to the graphics up to three times. iSight: The all new camera, camera name. It has the 5 mega pixel sensor, with 5 deeply integrated lens. 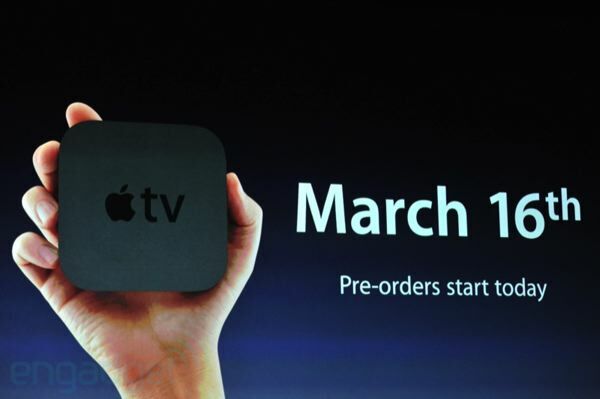 Well the new Apple TV will beÂ availableÂ from March 16th at the same old price and will support 1080p video. 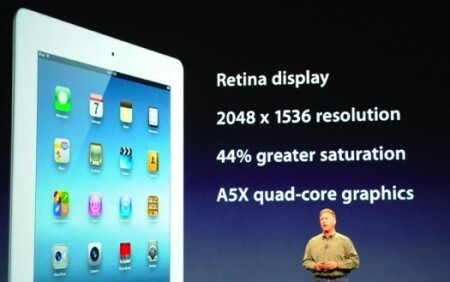 On the other hand Apple revealed there own applications for the retina crunchy iPad. The GCC of course will get the fun of the new iPad a bit late but Apple has claimed that this time it will be there fastestÂ roll-outÂ ever, so stay tuned. is the USA ipad3 4G free sim (unlocked) ? will it work in KSA? Is the new ipad AT&T version using the same LTE standard as Stc? How much ipad 3 4g+wifi in jarir? Anybody please, thanks..!